When it comes to retirement, we all want to be sure we’re saving what we need. But knowing you’re making the right choices can be difficult. 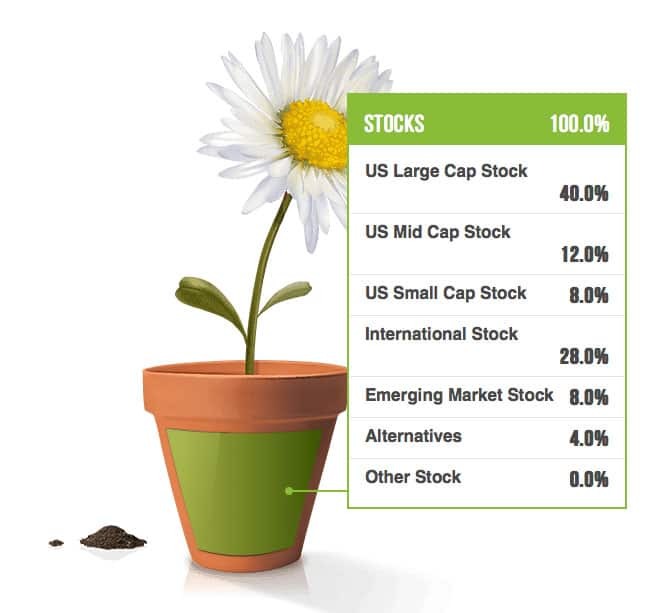 That’s why I use blooom 401k optimizer to manage and monitor my investments. Each employer-sponsored 401k plan differs. They include access to different funds, varying advice, and plenty of confusion. Though some provide resources to help balance your investments, most employees leave their elections at the standard set and don’t actively manage their nest egg. They’re likely missing a lot by doing so. blooom makes 401k management simple. They do all the work! They’ll even give you a free analysis to see how much you’re currently missing out on. Setup is easy. Just create a blooom account and provide your employer-sponsored retirement account information. Then share your goals (how much you’re looking to have in retirement, age you’re looking to retire, etc). Their automated system will examine your investments, find the right balance for your goals, and uncover unnecessary hidden fees. As you can see, my account wasn’t where it should be when I started using their service. Next, bloom shows you their suggested investment breakdown, custom tailored based on your goals. 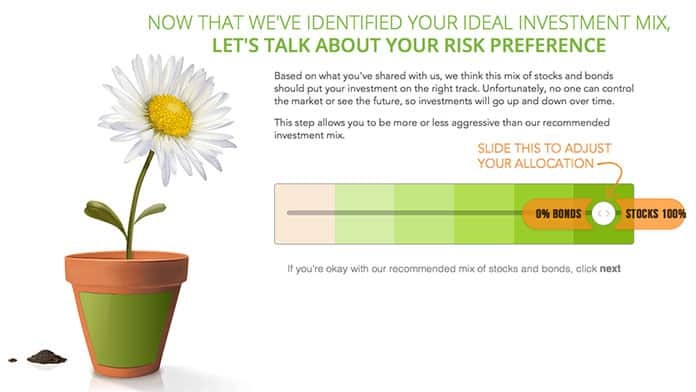 You can set your risk preference, to adjust investments if you’re someone who’s risk adverse. This helps to further tailor how blooom balances your 401k investments. blooom makes it simple to see just how much they can save you and how much larger they may be able to grow your investments by optimizing your 401k. 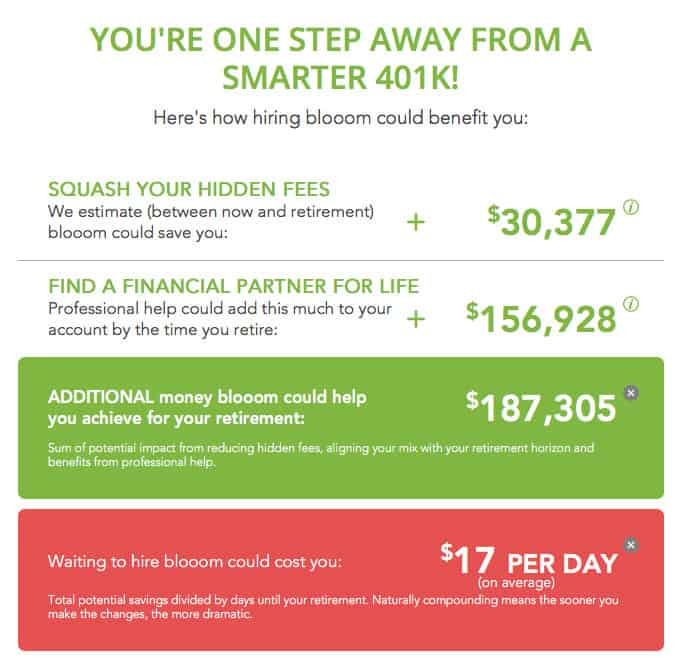 By eliminating hidden fees within my 401k, blooom will save me over $30,000 by retirement time. They’ll also earn me nearly $160,000 more during the life of my 401k through smarter investments of my money. That adds up to nearly $190,000 more in my pocket, or $17 per day. It’s clear to see, blooom can make much smarter investments with my 401k than I was making with fairly standard elections. Through smarter monitoring, management, and investments, blooom can bring about huge additional returns 401k owners who use the service. The peace of mind it brings in knowing someone is actively monitoring your account (both through machine learning and investment experts) to match your retirement goals is well worth the price too. At just $10/month, it’s well worth the additional return it’ll help you see (there’s an additional discount if you pay for the service annually). 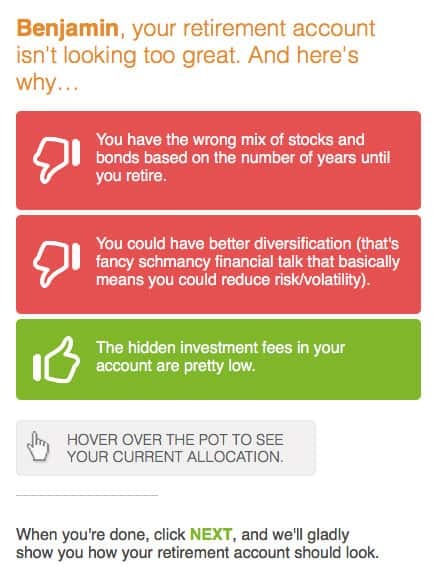 Click here to sign up for blooom 401k optimizer now and get your free analysis. Find out how much you might be missing out on. All you’ve got to lose is more retirement money.